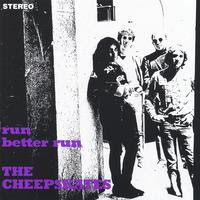 The mercurial Cheepskates began life as an anomaly on New York's garage-rock scene: when most of their peers were scouring exurbia for vintage paisleys and vinyl (the more primitive the better, on both counts), this low-key quartet was creating some of the most carefully crafted pure pop to escape from those Seed-y halls. After their second album "Second and Last", Cheepskates disbanded and guitarist David John Herrera released the "A Handout From a Cheepskate" in 1989, with members of the Optic Nerve. 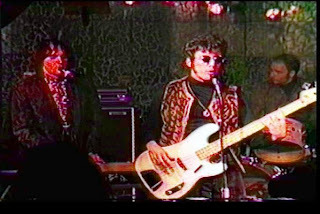 The Cheepskates reformed as a trio with Shane Faubert, Tony Low and new drummer Jeremy Lee and continued until 1993, with pop-oriented records, nothing to do with the garage scene. Shane Faubert released two solo albums, and in 1992, Tony Low and Jeremy Lee formed Static 13, which became a tuneful hard-rock quartet. "Run Better Run" released originally in 1984 on Midnight Records, re-issued on CD in 1997 by Music Maniac, and recently (2005) on CD with three extra tracks. You can find it in Shane Faubert’s website.